Thanks for joining our updates! We will get back to you in next match of CSK vs SRH tomorrow at 4 PM on 11th April, 2015. Bailey, Kings XI Punjab captain: Pretty happy with the way we went with the ball. We could have taken a few opportunities, but I was happy at the half-way mark. A couple of run-outs hurt. We changed the batting order a bit and in hindsight that was not a good idea. Steven Smith batted beautifully and James Faulkner batted well as well. To be honest, I am getting sick of talking about last year. It is time to move to this year (grins). James Faulkner, Man of the Match: I just back my T20 cricket to be honest. It was nice to see Hooda show a lot of confidence in his first game. Mitch and me get along very well [responding to his tussle with his Aussie team-mate]. Play on. Steven Smith, Rajasthan Royals captain: The were very good. Hooda in his first game played brilliantly. Faulker also played well. He [Sanjay] is a good little player and we can expect more from him in the future. It was nice to get over the top of them [Kings XI Punjab]. I am sure he [Shane Watson] will be fine. We will get our combination right and it is nice to get a win under our belt early on." Rajasthan Royals won by 26 runs! Faulkner to Maxwell, OUT, Southee completes a superb catch, no Maxwell magic today for Kings XI Punjab. Steve Smith on the Creeze! Kings XI win the toss and opt to bowl. 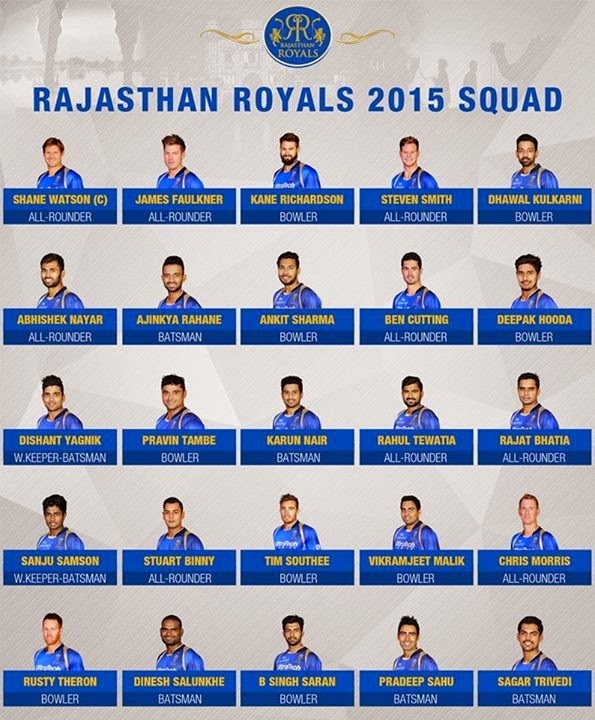 Watson is injured and Steven Smith will lead Rajasthan Royals. He has been in some form this season. 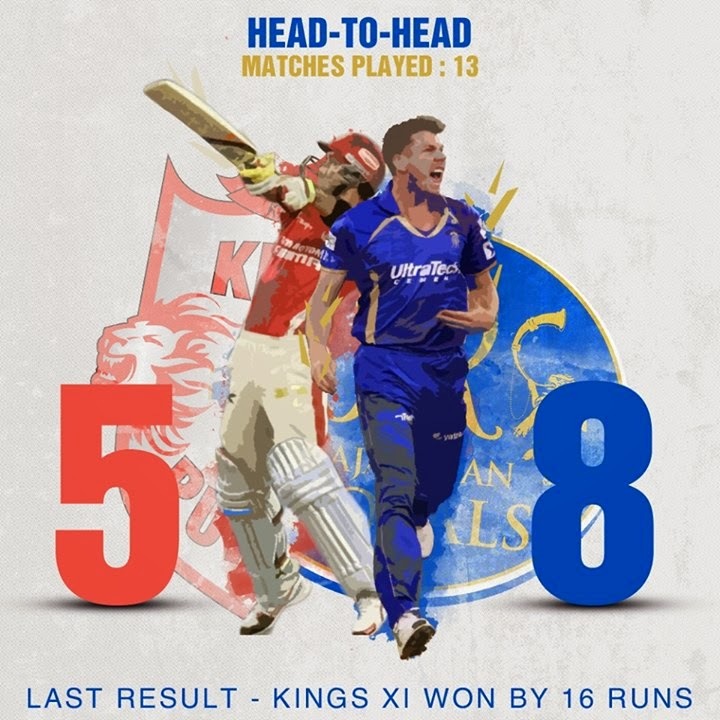 We are trying to update each and every update of this Kings XI Punjab vs Rajasthan Royals match-3 IPL 2015.